Gas Oil (also known as gasoil, 35 second oil and red diesel) is a cheap industrial diesel fuel commonly used in construction, agriculture and horticulture. Over the years, its use has extended to data centres and hospitals for fuelling backup generators. The prices are very low in comparison with road diesel due to the way it is taxed and used. If you’d like to find out more about our gas oil and request a quote. Give us a call today on 0845 313 0845. If you’re new to gas oil (also known as red diesel) and you’re unsure about the legal usage of it. You can find out more in our gas oil guide first. There are restrictions to its uses and sale, so you need to ensure your planned usage isn’t going to break the law. Crown Oil can supply you with gas oil wherever you are located in the UK at extremely competitive prices. Our priority focus has always been on providing you with the best customer service and timely deliveries, although the gas oil supplied is of the highest quality and its availability is second to none! 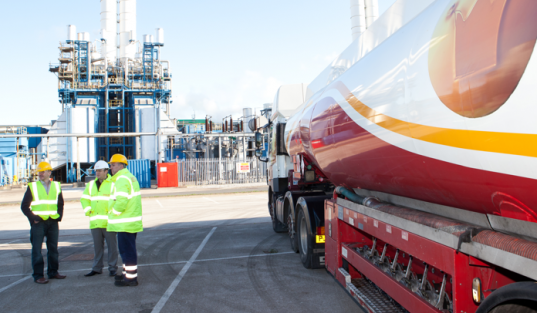 We have a wide range of oil tankers to ensure that all properties and sites can be satisfied with prompt deliveries and staff who are on hand 24/7. Contact us today on 0845 313 0845 to request a quote or to place a fuel order. Our highly knowledgeable team of fuel specialists will be able to answer any of your questions. In the UK, gas oil prices change daily because they depend on lots of factors such as supply area and when your delivery is required. For this reason, it is impossible for a nationwide supplier to display any prices online without causing confusion. We check our competitor’s gas oil prices daily to ensure that when you buy gas oil from Crown Oil, it is the most competitive fuel price on the market. We guarantee that you will not only find the best gas oil prices but when you order fuel from Crown Oil, you will receive the highest level of service too! How can we be so competitive nationwide? We buy oil in large quantities, giving us the ability to pass on huge savings to you. We provide quotes completely free of charge, so see how much you can save on your current costs by using our simple gas oil quote form. Alternatively, give us a call on 0845 313 0845 to receive a price over the phone! Our experienced and friendly staff are waiting to take your call. With over 70 years’ experience in the oil supply business, we understand the importance of commercial fuel to your business. That is why we created our flexible payment options to make sure that you can order your gas oil today and have it delivered when you need it; without worrying about the payments upfront, should it temporarily upset your cash flow. Not only do we want to give you the best gas oil price but we also want to ensure that the cost of your fuel doesn’t have a big impact on your business operations. We’ve helped hundreds of businesses with easy payment options so why not enquire about them today with an experienced member of staff. Get in touch today about our flexible payment terms and see how it can benefit your business on 0845 313 0845. For information regarding credit accounts visit our downloads page for the account form and details. At Crown Oil, our promise is that no matter where you are in the UK, we can always supply you with quality gas oil when you need it. Our main distribution depot is in Bury, Lancashire, although we have more oil depots in London, Birmingham, Doncaster and Edinburgh to facilitate our distribution on a nationwide basis. Buy gas oil in 205-litre barrels or in bulk quantities of 500 litres – 36,000+ litres delivered anywhere in the UK. Your delivery can be booked for the same day, next day or any other date you require your delivery on. Looking for cheap gas oil prices in the UK? Find great service, quality fuel and the lowest prices here at Crown Oil. Call our experienced team on 0845 313 0845 to get your free gas oil quote or for any queries, you may have regarding our fuels. Alternatively, if you are able to spare one minute of your time, complete our simple quote form and get an instant quote for your fuel. Give it a try now by selecting ‘red diesel’ from the drop-down menu and the amount which you would like to buy. As soon as you have entered your details you will get an instant gas oil price! Gas oil cannot be used for road vehicles and there are rules set out which must be adhered to when using it. Take a look at our red diesel FAQ for a list of typical questions relating to rebated diesel. In the construction industry, there are many applications for Gas oil. Without Gas Oil, backup generators wouldn’t be able to keep critical systems up and running in emergencies. 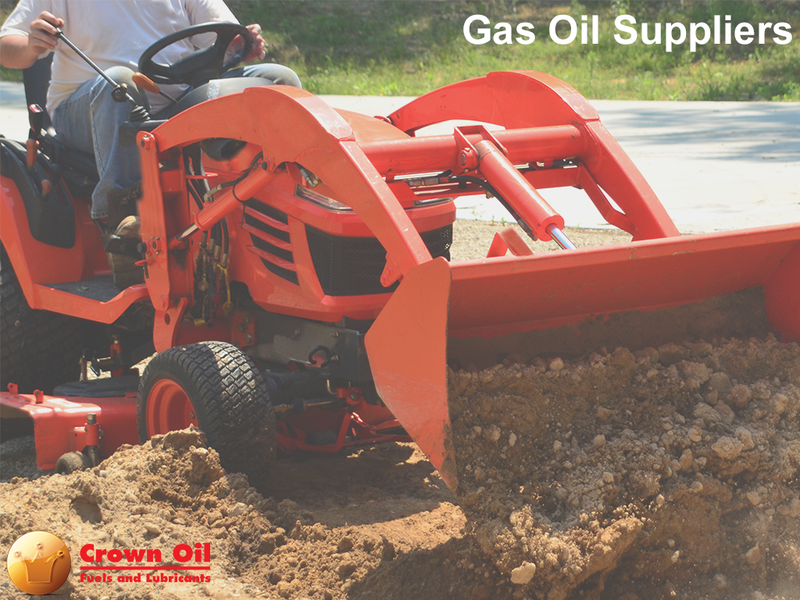 Gas Oil can be legally used to power ride-on mowers for horticultural activity. Gas oil can also be used to heat your business premises or home. If you would like to know whether the application you are considering using gas oil for is legal, then please speak to us for advice. If you do not want to speak to somebody in our team, search our website for fuel guides and information. We also have the facility to offer you an oil fuel price via our website when you choose to fill in our quick quote form. For further details and information, talk to our experienced oil fuel advisors by calling us today on 0845 313 0845 for the latest prices, advice and availability in the UK.